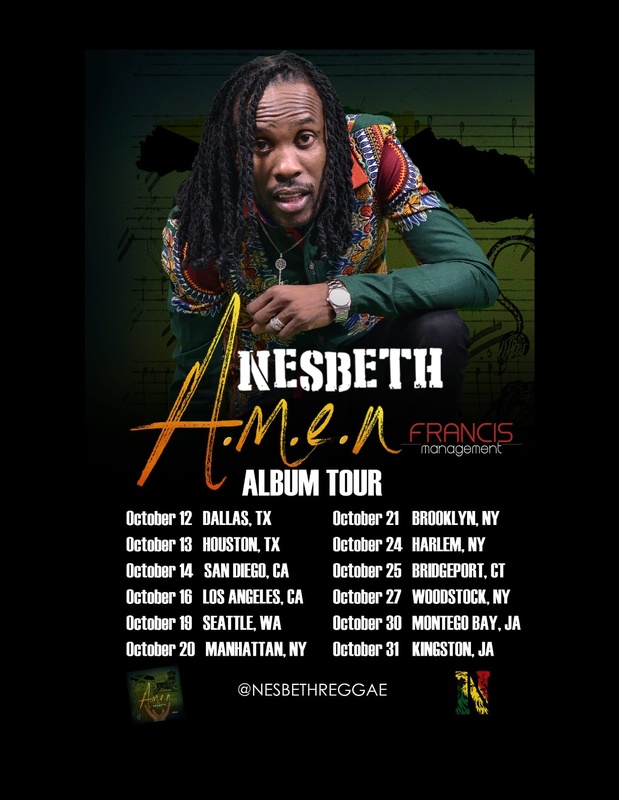 As the official release date for ‘A.M.E.N,’ his debut album draws closer, recording artiste Nesbeth is finalizing plans for a twelve-city album tour of the U.S and Jamaica later this month. Commencing October 12th – 31st, the almost three-weeks-long tour aptly named after the anthology will see the Reggae singer making appearances in a number of major cities across the U.S mainland including Dallas, Houston, San Deigo, Los Angeles, Seattle, Manhattan, Brooklyn, Harlem, Bridgeport, Woodstock before culminating with a pair of performances in Kingston and Montego Bay respectively. “The tour is to promote the album because what is a good album without promotion and that is the key factor. As for what fans can expect, I would sum that up as quality music and a nice vibration, just the best because that is what Nesbeth is about, nothing less.” – He disclosed.